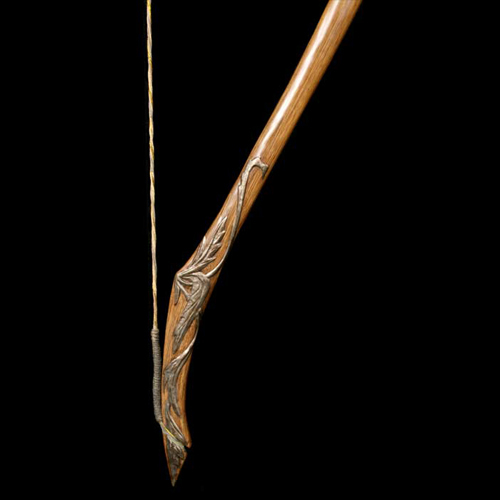 An Elven prince from the forest kingdom of Mirkwood, Legolas Greenleaf joined the Fellowship of the Ring as a representative of his people, vowing to protect Frodo through the power of his mighty bow. 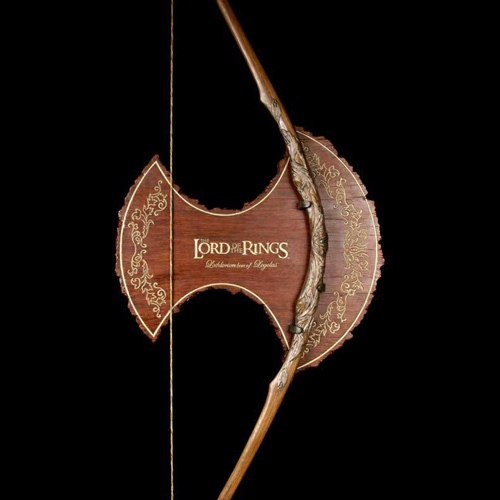 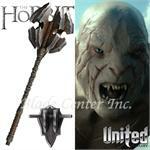 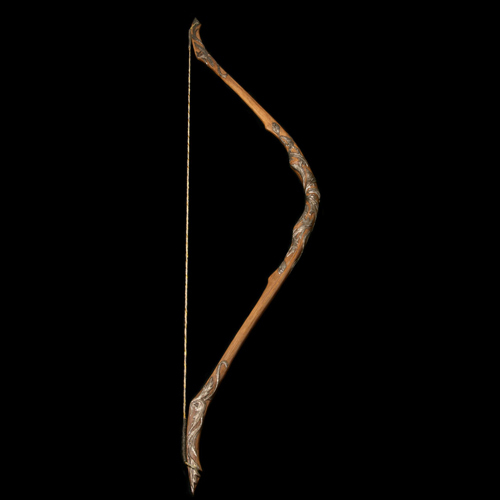 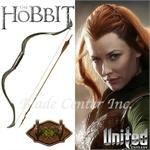 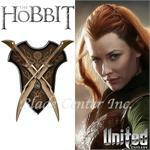 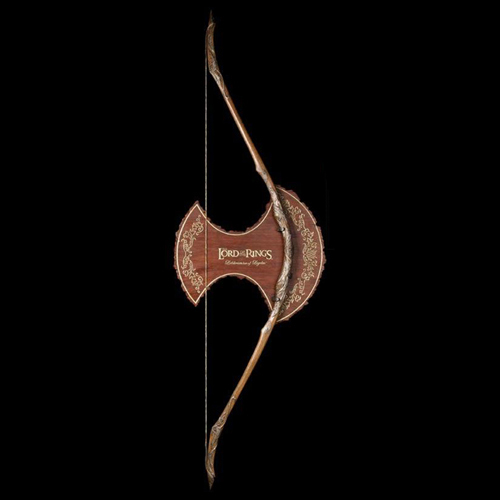 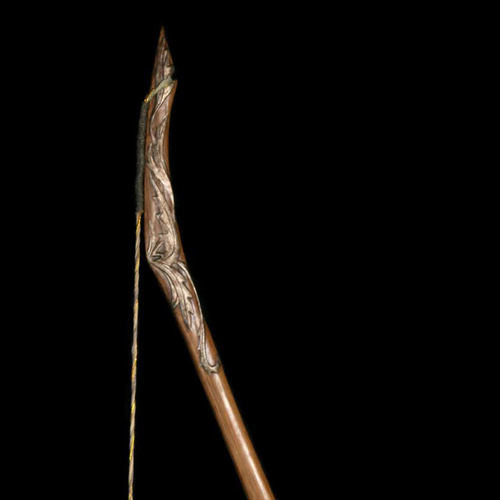 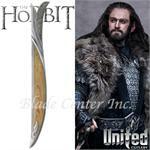 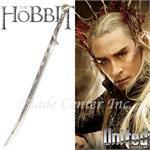 We are very proud to present the officially licensed Lothlorien Bow Of Legolas! 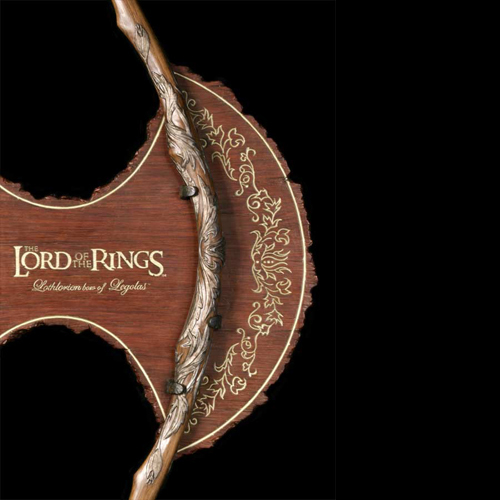 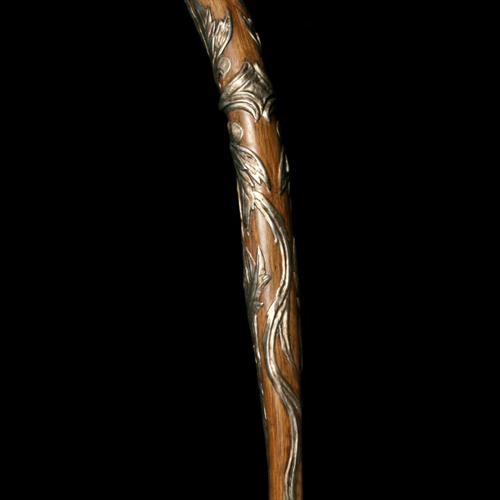 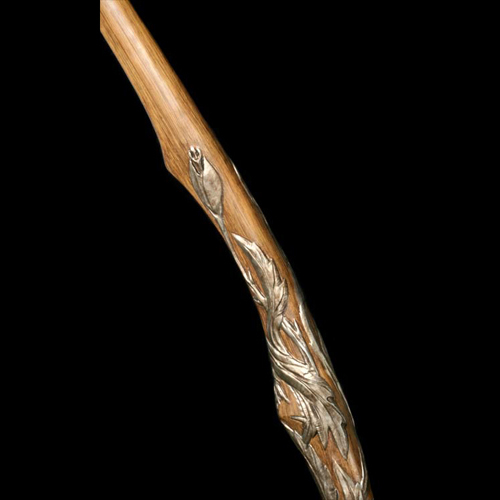 This amazing replica is molded directly from a screen-used Lothlorien bow, and captures all of the intricate detail it possesses. 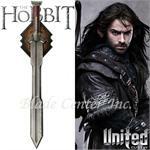 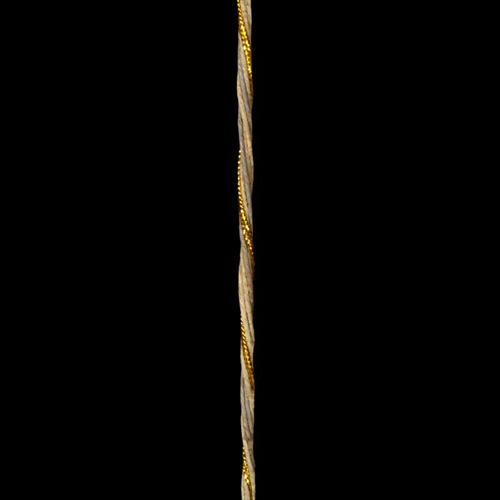 Measuring an imposing 66" in length, this museum quality piece comes complete with a themed wall display plaque, and is accurate to the finest detail, including the strand of Galadriel's golden "hair" running through the string! 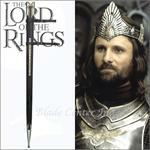 Strictly Limited Run of Just 500 Pieces. 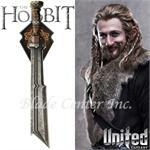 Includes a parchment certificate of authenticity.